De Oude Pastorie is situated in the center of the village where you can enjoy the buzz, sitting on your front stoep or relaxing in the private back garden, enjoying the stunning views of the mountains. 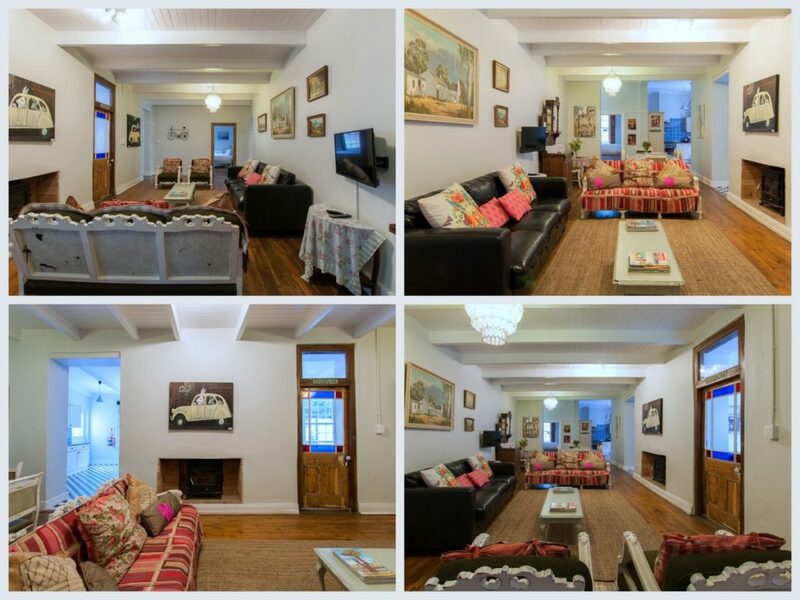 This beautiful 6-bedroom self-catering house is offering relaxed surroundings with just a short stroll into the village, visiting the quaint shops and enjoying the mouthwatering cuisine of one of the many restaurants. 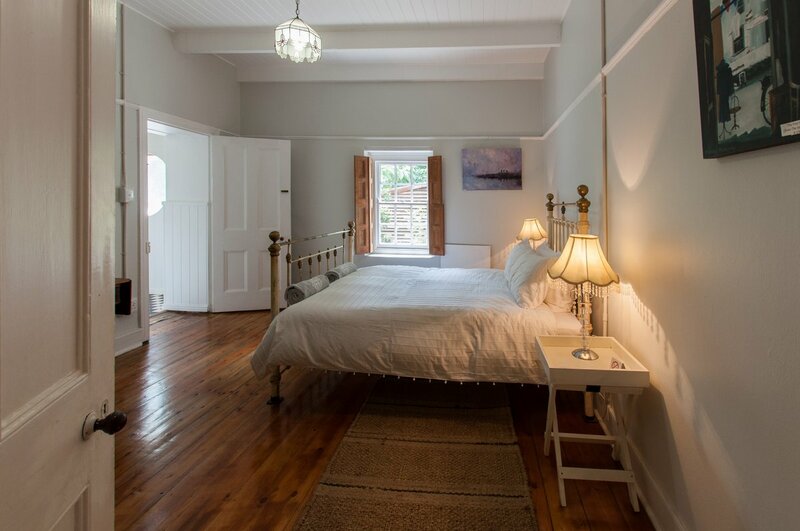 De Oude Pastorie sleeps 11 guests (maximum) comfortably in six bedrooms with 3 full bathrooms. Three of the bedrooms with double beds, two of the bedrooms each with 2 single beds and one room with three-quarter bed. 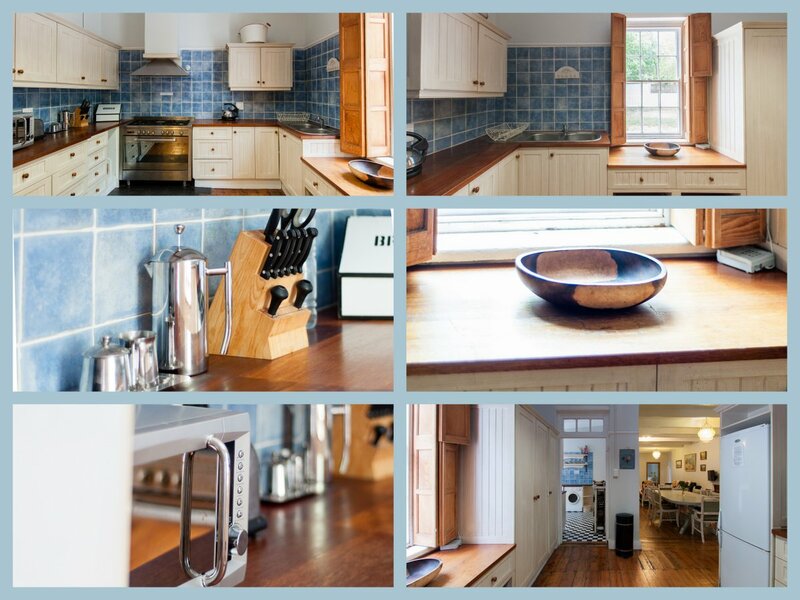 The kitchen is open plan and fully equipped for self-catering with separate scullery and laundry area. The lounge is spacious with fireplace and TV with full DSTV (no card and decoder required). 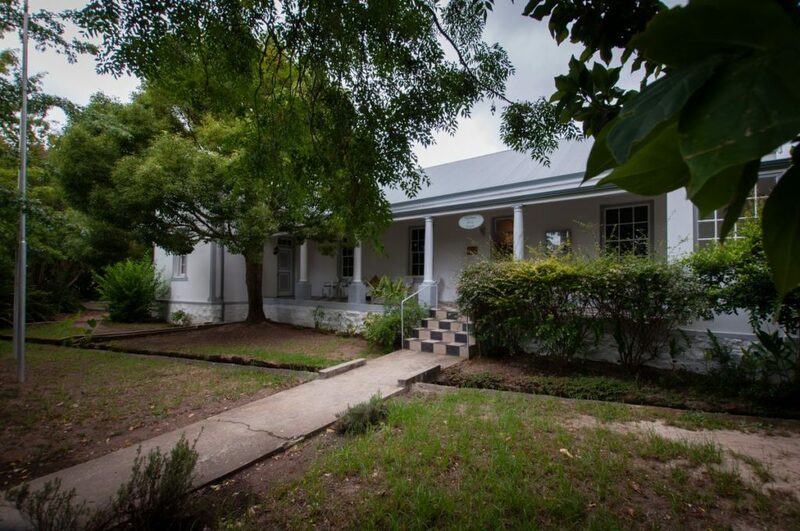 The front verandah is comfortably furnished plus a private garden area with built in braai facilities. Greyton offers interesting hiking trails, beautiful walks to waterfalls, picnic spots by the river, bicycle hire for exploring cycling routes and horse riding. • Fully equipped kitchen with double door fridge/freezer, full electric 4 plate stove and oven, dishwasher, microwave, toaster, kettle and coffee plunger. • 50% deposit payable to secure the booking and – balance due 3 days prior to arrival.